Jeffrey Hodges B.Sc. M.Sc. (Hons), B.Ed. is a performance consultant who assists people to realise their potential through success life coaching and superior thinking skills. He has a special interest in elite sports achievement and has successfully coached athletes to medal winning performances at Olympic, World and National Championship levels – including Olympic Gold medallists Sara Carrigan and Lydia Lassila. For the past five years he has organised and lectured on motivation, personal achievement and positive self concept at the Gifted & Talented Student conferences held in Australia, NZ and throughout the UK – including presenting to senior students in Oxford and Cambridge. Jeffrey lives what he teaches, having written 12 books, 6 CDs, holds a black belt in Aikido and currently trains in Jodo and Yoga. He lives at Flaxton on the Sunshine Coast hinterland on an acre of fruit trees and Vege patches – shared by 10 happy chickens. 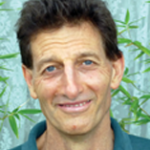 To view Jeffrey’s courses click http://www.relaxationcentreofqld.org/events/ and search Jeffrey Hodges.